Kevin Feige has suggested that the trailers only draw from the first 15-20 minutes of the film. That's proven to be something of an exaggeration; there are a number of clips in the trailers and TV spots that are probably from the second or even possibly the third act. Still, the fact remains that the bulk of footage seems to be from early on, and as such the opening of the film is coming into focus. The Avengers have one last desperate plan to undo the snap. But how will that plan work out, and how does the plot progress from that point? The general assumption is that Avengers: Endgame will begin with the Avengers suffering another defeat at the hands of Thanos, but that won't necessarily be the case. What happens if the Avengers win at the start of the film, and everything that follows flows from that victory? Page 2: What Would This Mean For The Plot Of Avengers: Endgame? 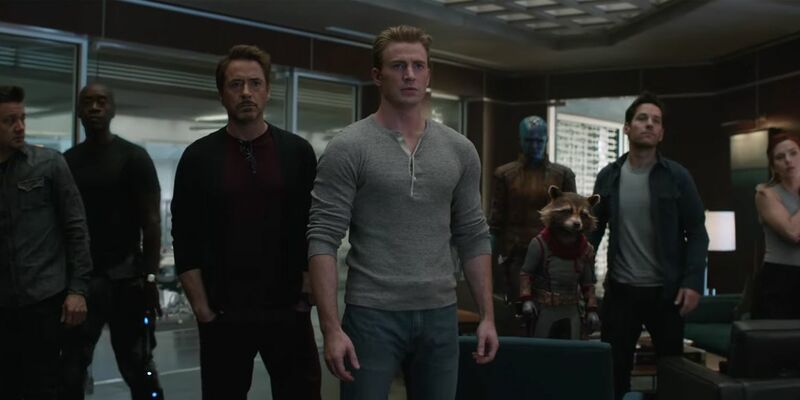 The Avengers: Endgame trailers revealed that Earth's surviving heroes have a plan, but were silent as to what that plan may be. More recent clips and TV spots have lifted the lid on that particular mystery, though; they've confirmed that the Avengers plan to go after Thanos in order to retrieve the Infinity Stones and undo the snap. Footage shown to Disney shareholders confirmed that Captain Marvel and Nebula would join the Avengers, with Nebula revealing that she knew exactly where Thanos' "retirement home." is. It seems Thanos had long imagined a day when he would achieve his insane goal, and had carefully chosen where he'd go to relax and celebrate his victory. Unfortunately for Thanos, he'd let his daughters in on the secret, and hadn't considered the possibility they'd betray him. The Avengers' numbers have been sadly diminished as a result of the snap, but they've received something of a power-up through Captain Marvel. Marvel has stressed that Brie Larson's character is a powerhouse unlike any hero seen in the MCU to date, and Captain Marvel demonstrated that when she effortlessly tore through a Kree capital ship without breaking a sweat. What's more, Captain Marvel's powers are linked to the Tesseract, which may well mean she has a degree of resistance to the power of the Infinity Stones. When Carol Danvers decides her mission is to kill Thanos, even the Mad Titan should be a little concerned. But, of course, the mission isn't really about revenge, and the Avengers aren't heading to this mysterious alien world because they want to get a little payback. Their real goal is to acquire the Infinity Stones, the one power they can imagine capable of putting the universe to rights, and they'll surely be willing to sacrifice anything to accomplish their mission. Is it possible they succeed? Thanos has been largely absent from the marketing for Avengers: Endgame - at least until the third trailer. But, curiously, that trailer didn't show him using the Infinity Gauntlet at all. It's true that one scene shows him appearing in a flare of blue light, which many initially believed to be through use of the Space Stone, but the effect was different to his Space Stone teleportation in Avengers: Infinity War. In fact, it was identical to the Sanctuary II's teleporters in the comics. Meanwhile, notice that Thanos is back to wearing his old armor. It's true that this is a smart choice from the point of view of tie-in merchandise (it makes for a whole new range of Thanos toys and action figures) but there's more to it than that. 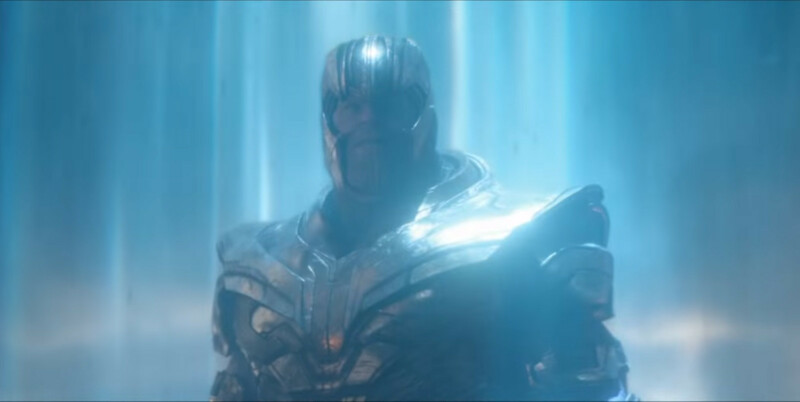 In Avengers: Infinity War, Thanos shunned his armor because he possessed the Infinity Stones, and thus didn't need it. That's why his look became ever simpler as the film progressed. "Clothing Thanos was a fun challenge because we needed to have essentially a wardrobe of ideas of what he may begin to wear as he gets more and more powerful thanks to collecting more of the Infinity Stones and not really even needing armor anymore," concept artist Wesley Burt explained in The Art of Avengers: Infinity War. "He would then begin to become more of this philosopher sort of personality with clothing reflecting that." According to this logic, then, if Thanos goes back to wearing armor, it's most likely because he loses access to the Infinity Stones. All this means there's a solid chance the Avengers will actually succeed in their initial mission, and steal at least some of the Infinity Stones, leading Thanos to believe he's threatened by them. Supporting this theory is the fact that some of the tie-in merchandise for Avengers: Endgame - most notably a LEGO playset - shows Thanos and his Outriders launching a counterstrike on the Avengers Compound. Again, why would Thanos do this unless he felt the Avengers threatened his plan, and why would he bring Outriders if he still possessed the unlimited power of the Infinity Gauntlet? This counterstrike could involve some of the most mysterious action sequences from the trailers, such as Iron Man stood in front of the rubble of an Earth building, or Ant-Man leaping through fire with a pencil in-shot. Page 2 of 2: If The Avengers Win - What Does It Mean For The Plot Of Endgame?